Looking for something new and original? 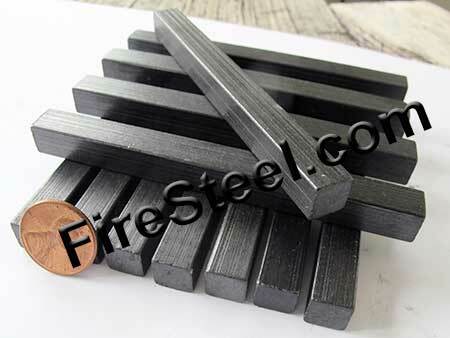 Our FireSteel.com Square FireSteels may spark your interest! These "square" or "rectangular" FireSteels are made from the same high sparking formula as all our other FireSteel products. It took a bit of engineering to make these, and as you can see they came out well! Made of the same famous High Sparking formula as our other FireSteel products, these rods make an excellent addition to your firemaking kit. I like how well they neatly stack!